5726 approaches Wimbledon Park on the District line. 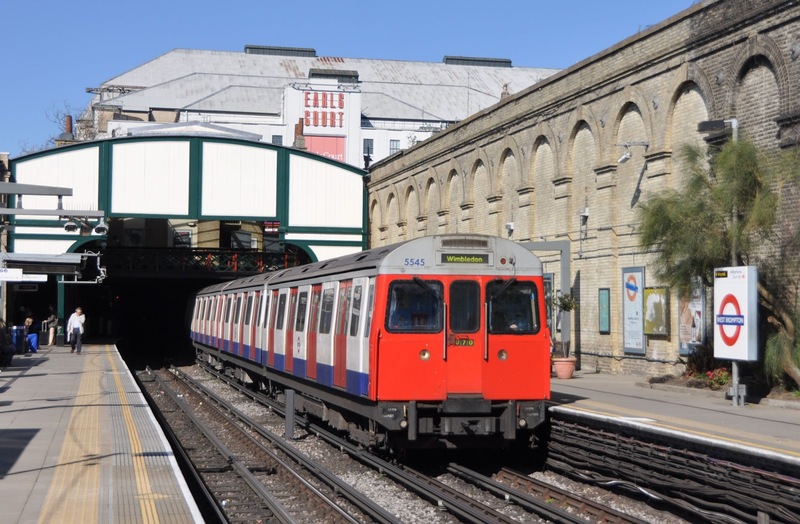 As I write this post the first of two 'C stock' farewell tours is underway traversing many parts of the sub-surface London Undgerground system where the trains have worked for many years, as well as some areas which are less familiar to the stock. 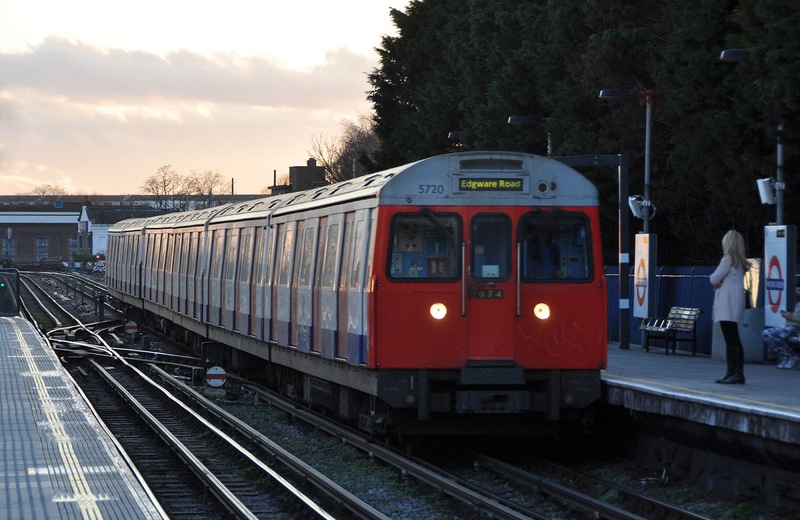 Since 1970 the 'C69' stock has been in use on the Hammersmith & City and Circle lines, joined in 1977 by 'C77' stock to work the Wimbledon to Edgewear Road branch of the District line. Refurbished between 1991 and 1994, at which point the trains were painted from bare metal to the corporate London Transport red and blue livery, the trains have given faithful service over the years and following the final withdrawal of Metropolitan 'A stock' became the oldest trains on the underground system. 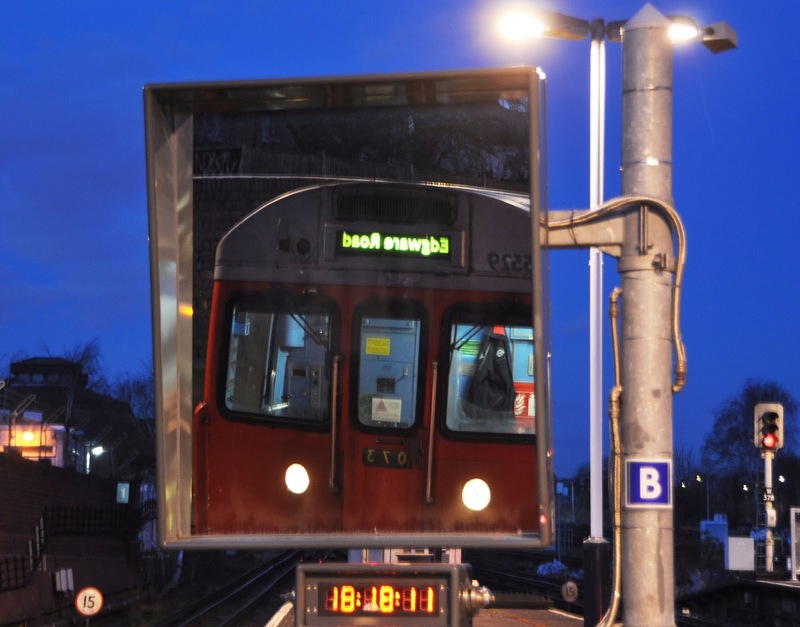 Mainstream withdrawal of the trains began in January 2013 with arrival of new Bombadier S stock to the Hammersmith & City line. 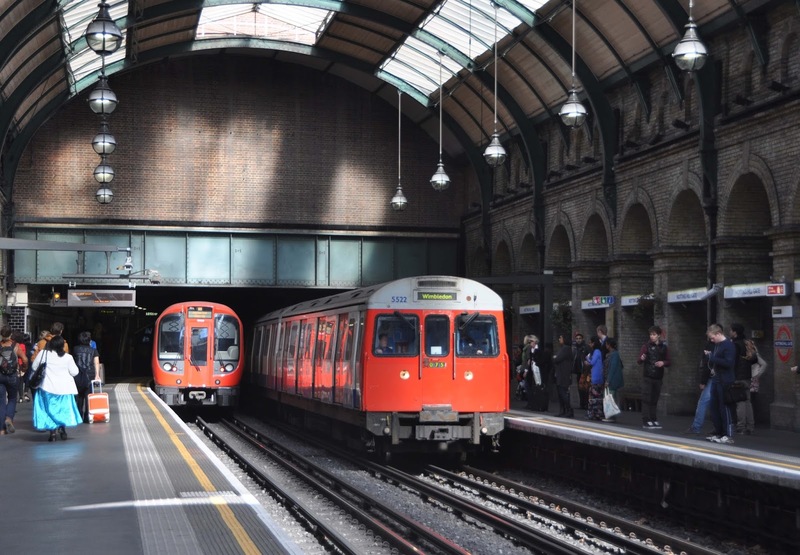 Since then the new trains have also taken over the Circle and around 50% of trains on the Wimbledon-Edgeware road service on the District line. As of April 2014 only 8 trains remain servicable with just 4 required for daily service. It is likely that the last regular passenger use will cease in May, with the final run of the stock being a farewell railtour on 29th June. 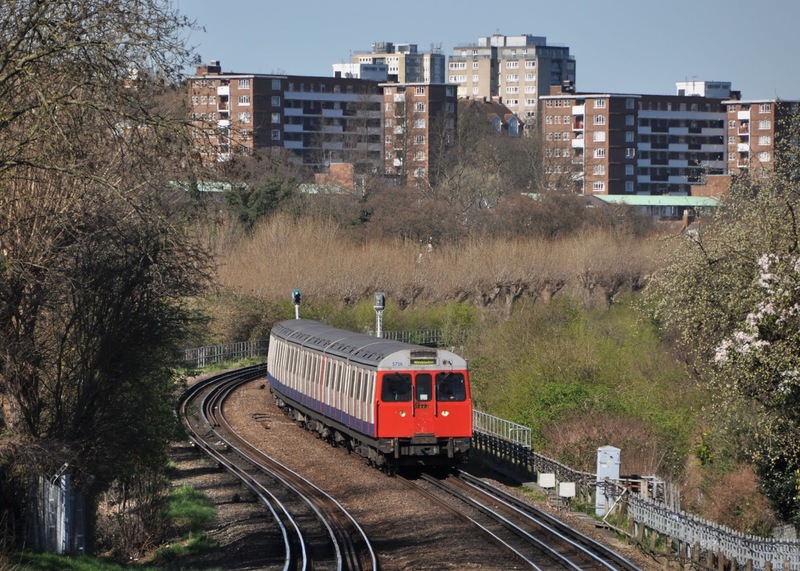 All Change on the District line- New S stock is seen at Wimbledon alongside D and C stock which it will soon completely replace.